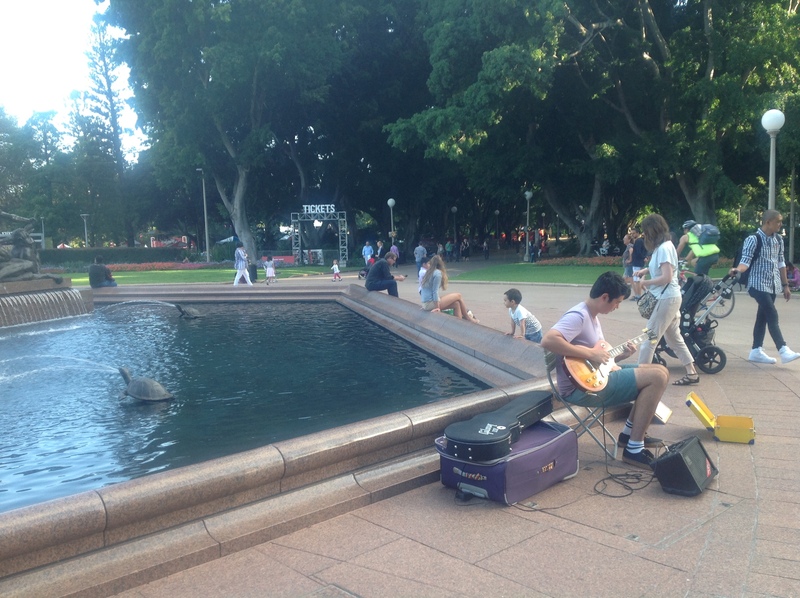 Once again, The Sydney Festival is here with an amazing amount of talent. One of the best is Meow Meow the star of The Little Mermaid. This version of Little Mermaid is based on Hans Christian Anderson's famous tale of The Little Mermaid. Meow Meow has brought her own original style to this famous tale. The audience will be entertained by mermaids, mermen and princes who are seeking romance. There will be a real live prince played by Chris Ryan. Meow Meow has turned Little Mermaid into a fanciful fairy tale which is amusing and funny. Also at times rhythmic and sensual. Meow Meow's voice has long been acclaimed as sensational. Pleasing audiences all over the world, she has become a star in her own right. The Little Mermaid will be presented in the Magic Mirrors Spiegeltent Tent. There are two Spiegeltents this year. The Magic Mirrors and The Famous Spiegeltent which comes to Sydney every year for The Sydney Festival. 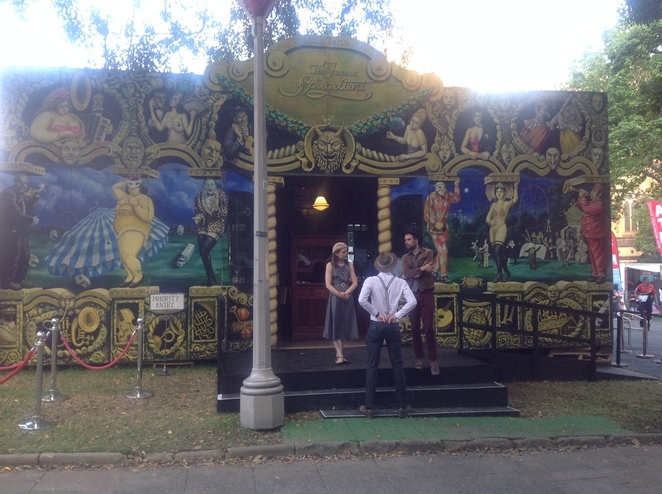 The Magic Mirror Spiegeltent is shown above and The famous Spiegeltent shown below. 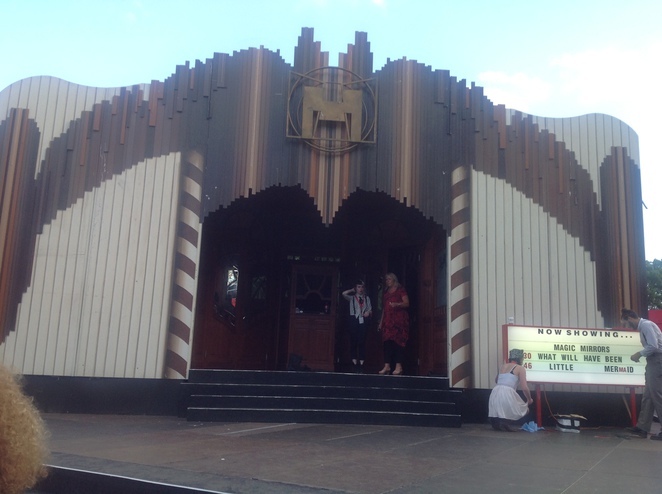 The Spiegeltents have a rich history, they originated in Europe in the early 20th century. There are only about six remaining and they travel the world for festivals. They mainly show cabaret style entertainment. They are lavishly built from wood, mirrors and leaded glass. Each has its own unique character and style. 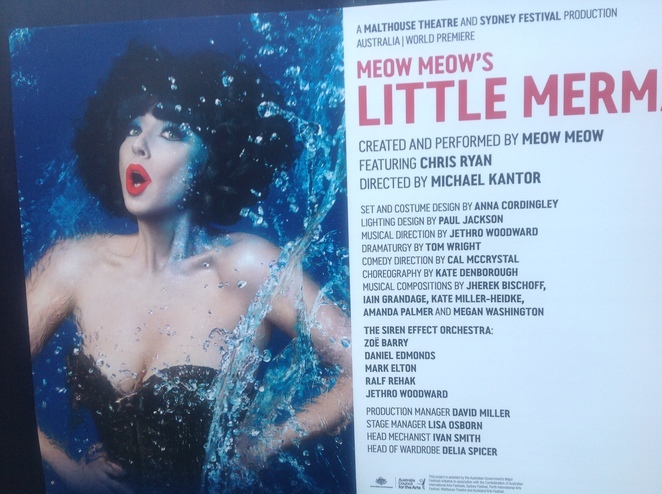 The atmosphere is quirky and cheeky which suits the production of Meow Meow's Little Mermaid. Meow Meow has performed in previous productions such as The Little Match Girl in Sydney and London.She has toured Europe with Cate Blanchett in the production (Gross Und Klien). Her list of successes are numerous. 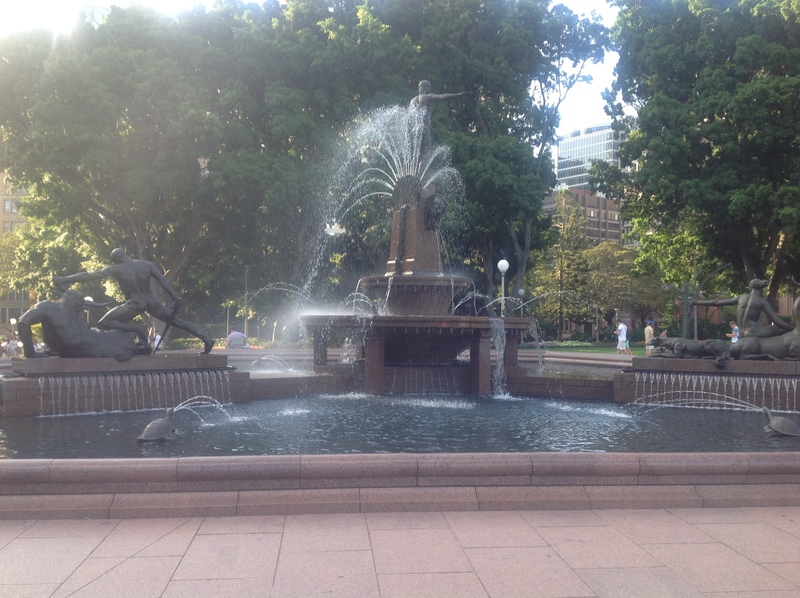 The Sydney Festival Garden is situated in Sydney's beautiful Hyde Park. The closest station is St James. It is a very short walk from St James Station through the park. It will take about 5 minutes and is all on the flat. 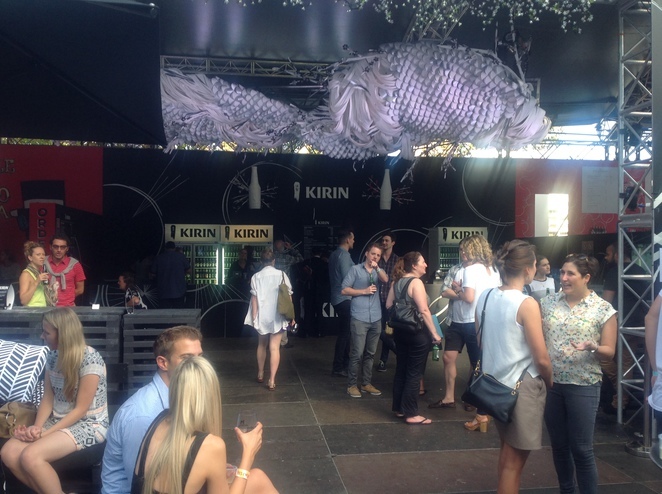 The Sydney Festival Garden is a place worth spending some time in. Hundreds of people gather to enjoy their leisure in its lively atmosphere, You can have a glass of wine and a bite to eat while enjoying many of the other activities available. 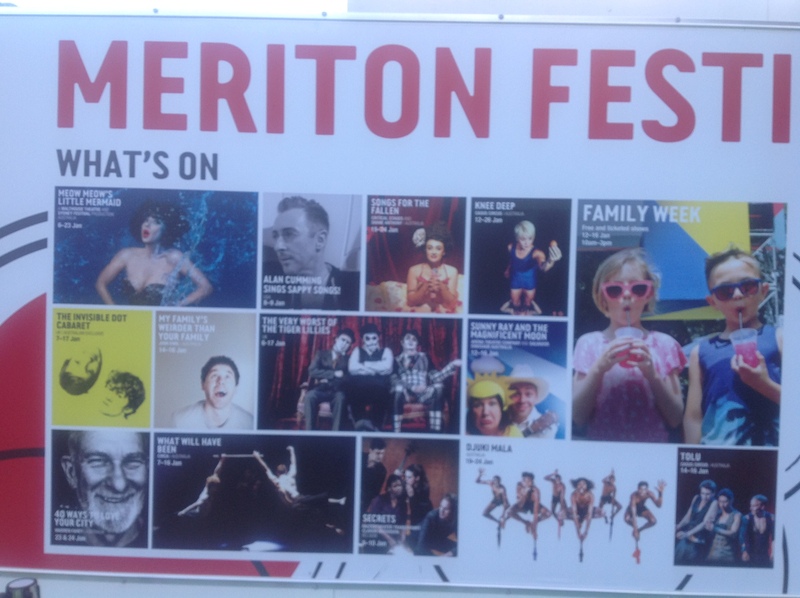 A poster of events for The Sydney Festival. 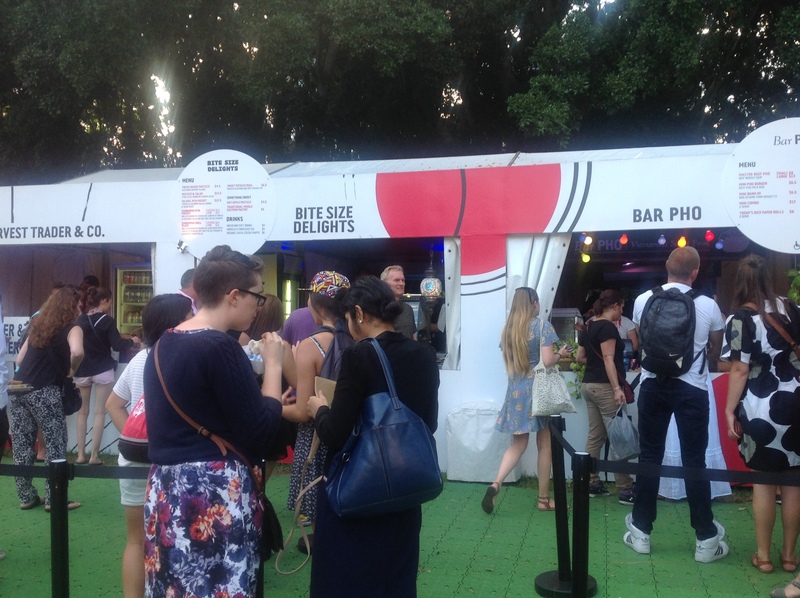 Above you will see a poster of events on at The Sydney Festival Garden. You will do yourself a favour if you attend this venue. I have been going to The Sydney Festival now for many years. This is by far my favourite venue showing many of the best shows.